The universe is in a cup of coffee. 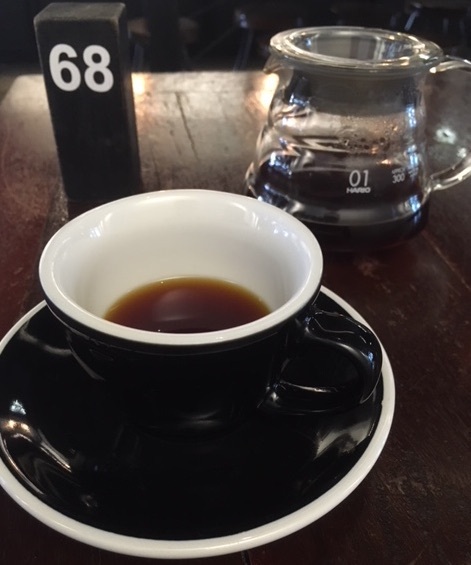 But how many connections to different bits of physics can you find in the time it takes you to prepare a V60? We explore some of those links below while considering brewing a pour-over, what more do you see in your brew? Preparing a V60 pour over coffee. How many connections can you find? The beans pile on top of each other in the hopper. As the beans are ground, the bean pile shrinks along slipping layers. Immediately reminiscent of avalanches and landslides, understanding how granular materials (rocks & coffee beans) flow over each other is important for geology and safety. Meanwhile, the grinding itself produces a mound of coffee of slightly varying grain size. Shaking it would produce the brazil nut effect, which you can see on you breakfast table but is also important to understand the dynamics of earthquakes. Staying at the grinding stage, if you weigh your coffee according to a brew guide, it is interesting to note that the kilogram is the one remaining fundamental unit that is measured with reference to a physical object. 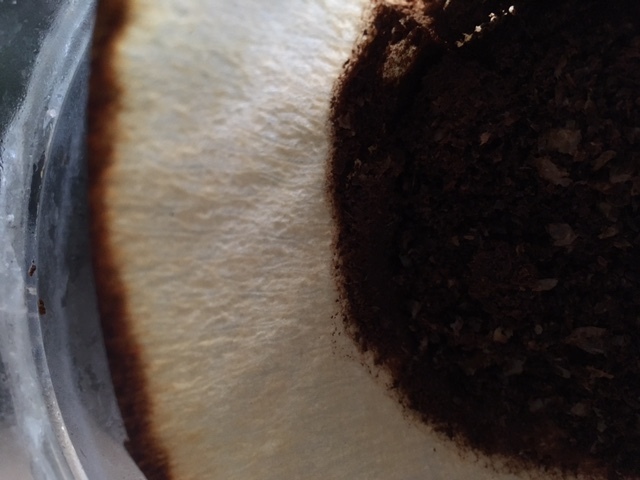 A few hours after brewing pour over, a dark rim of dissolved coffee can be seen at the top of the filter paper. Chromatography in action. While rinsing the filter we see the process of chromatography starting. Now critical for analytical chemistry (such as establishing each of the components of a medicine), this technique started with watching solutes ascend a filter paper in a solvent. Filtration also has its connections. The recent discovery of a Roman-era stone sarcophagus in the Borough area of London involved filtering the excavated soil found within the sarcophagus to ensure that nothing was lost during excavation. On the other hand, using the filtered product enabled a recent study to concentrate coffee dissolved in chloroform in order to detect small amounts of rogue robusta in coffee products sold as 100% arabica. From coffee to the atmosphere. There’s physics in that filter coffee. 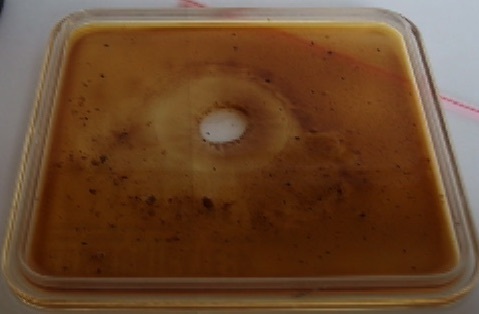 A drop falling on a granular bed (rain on sand, water on ground coffee) causes different shaped craters depending on the speed of the drop and the compactness of the granular bed. A lovely piece of physics and of relevance to impact craters and the pharmaceuticals industry. But it is the bloom that we watch for when starting to brew the coffee. That point where the grinds seem to expand and bubble with a fantastic release of aroma. It is thought that the earth’s early atmosphere (and the atmosphere around other worlds) could have been helped to form by similar processes of outgassing from rocks in the interior of the earth. The carbon cycle also involves the outgassing of carbon dioxide from mid-ocean ridges and the volcanoes on the earth. 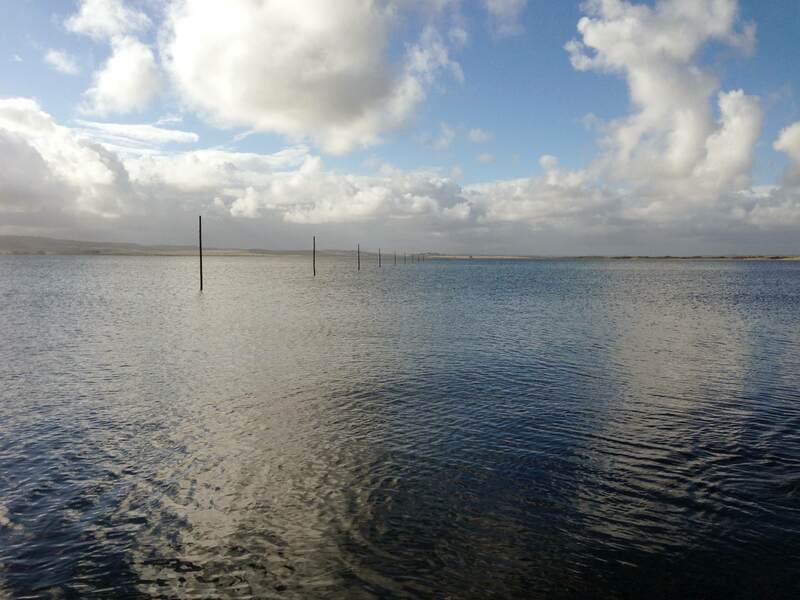 As the water falls and the aroma rises, we’re reminded too of petrichor, the smell of rain. How we detect smell is a whole other section of physics. Petrichor is composed of aerosols released when the rain droplet hits the ground. 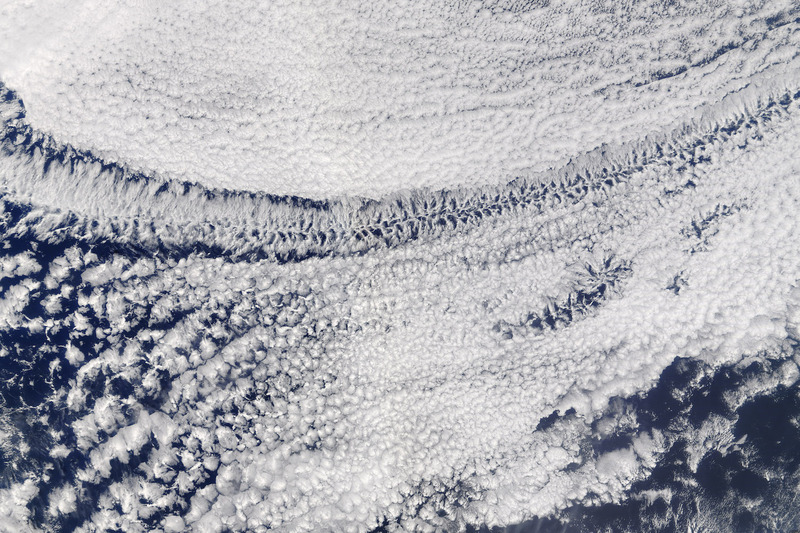 Similar aerosols are produced when rain impacts seawater and produces a splash. 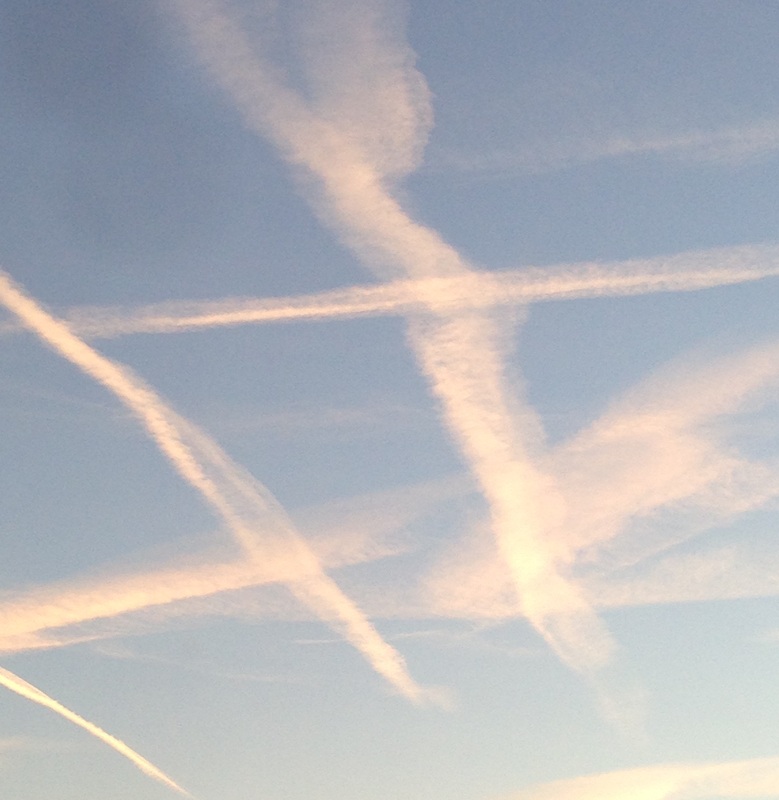 These aerosols have been linked to cloud formation. Without aerosols we would have significantly fewer clouds. A close up of some milk rings formed when dripping milk into water. Similar vortex rings will be produced every time you make a pour over coffee. Percolation is (almost) everywhere. From the way that water filters through coffee grounds to make our coffee to the way electricity is conducted and even to how diseases are transmitted. A mathematically very interesting phenomenon with links to areas we’d never first consider such as modelling the movements of the stock exchange and understanding the beauty of a fractal such as a romanesco broccoli. But then there’s more. The way water filters through coffee is similar to the way that rain flows through the soil or we obtain water through aquifers. Known as Darcy’s law, there are extensive links to geology. Nor is it just geology and earth based science that is linked to this part of our coffee making. 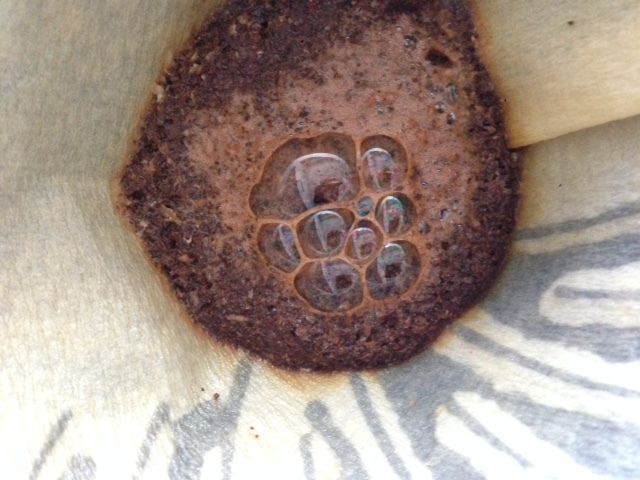 The drips falling into the pot of coffee are forming vortex rings behind them. Much like smoke rings, they can be found all around us, from volcanic eruptions, through to supernovae explosions and even in dolphin play. Convection cells in the clouds. Found on a somewhat smaller scale in your coffee. Yet it is when it gets to the mug that we can really spend time contemplating our coffee. The turbulence produced by the hot coffee in a cool mug prompts the question: why does stirring your coffee cool it down but stirring the solar wind heats it up? The convection cells in the cooling coffee are seen in the clouds of “mackerel” skies and in the rock structure of other planets. The steam informs us of cloud formation while the condensation on the side of the cup is suggestive of the formation of dew and therefore, through a scientific observation over 200 years ago, to the greenhouse effect. The coffee cools according to the same physics as any other cooling body, including the universe itself. Which is one reason that Lord Kelvin could not believe that the earth was old enough for Darwin’s theory of evolution to have occurred. (Kelvin was working before it was known that the Sun was heated by nuclear fusion. Working on the basis of the physics he knew, he calculated how long the Sun would take to cool down for alternative mechanisms of heating the Sun. Eventually he concluded that the Sun was too young for the millions of years required for Darwin’s theory to be correct. It was the basis of a public spat between these two prominent scientists and a major challenge to Darwin’s theory at the time). Of course there is much more. Many other links that take your coffee to the fundamental physics describing our world and our universe. Which ones have you pondered while you have dwelt on your brew?